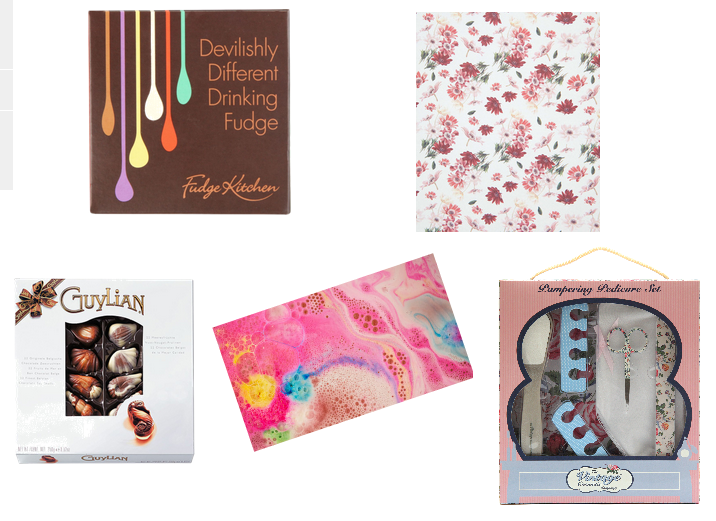 Beautiful You: Bloggers Christmas Gift Swap Presents! Bloggers Christmas Gift Swap Presents! During December I took part in multiple series, gift swaps and secret santas and for this one we had to post what we received. I know this is a bit late but I have had a break from blogging but I thought that you would all still like to see. I was paired with Viola from A Piece of Viola which I shall link here so you can go over and see what I got her. I was so excited to open this parcel when it arrived because it is nice getting presents for other bloggers, but with no further ado this is what she got me! 1. Drinking Fudge- I haven't tried this yet but I am looking forward to it because I am a massive fan of fudge itself. You just simply add it to boiling water and stir it in so when I have tried this out I will let you know how it goes! 2. A Floral Notebook- This is probably one of the best presents to give me because I can never have to many. I love having them everywhere because you never know when you might need to write something down. The one she got me is currently in my handbag as it fits in the small one I am using at the moment. 3. Guylian Chocolate- this is pretty much the safest present to give some one at Christmas because who doesn't like chocolates. These are actually some of my favourite so she did well with picking, I am pretty sure they were gone the same evening as well! 4. Candy Mountain Bath Bomb- I have never been a lover of bath bombs if I am being honest because I have really sensitive skin. However loads of people have told me recently that Lush will be fine so I think this is going to be the tester because I love the smell of them and I have always wanted to try one! 5. Vintage Cosmetics Company Pedicure Set- lastly was this pedicure set and with summer being the big season coming up it is perfect. I have been wanting a pair of the sleep socks for ages because I moisturise my feet at night but it always gets on my sheet but now it won't! All of these lovely gifts came packaged with 4 candy canes with a fitting Mean Girls reference attached which I particularly loved. I just want to say thank you here to Viola for the lovely presents and I hope she liked hers just as much. Let me know in the comments below if you guys took part in any other series over Christmas (including my own ;)) I will see you all as normal on Wednesday!